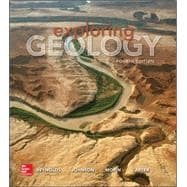 Inquiry is embedded throughout the book, modeling how geologists investigate problems. The title of each two-page spread and topic heading is a question intended to get readers to think about the topic and become interested and motivated to explore the two-page spread for answers. Each chapter is a learning cycle, which begins with a visually engaging two-page spread about a compelling geologic issue. Each chapter ends with an Investigation that challenges students with a problem associated with a virtual place. The world-class media, spectacular presentations, and assessments are all tightly articulated with the textbook. This book is designed to encourage students to observe, interpret, think critically, and engage in authentic inquiry, and is highly acclaimed by reviewers, instructors, and students.